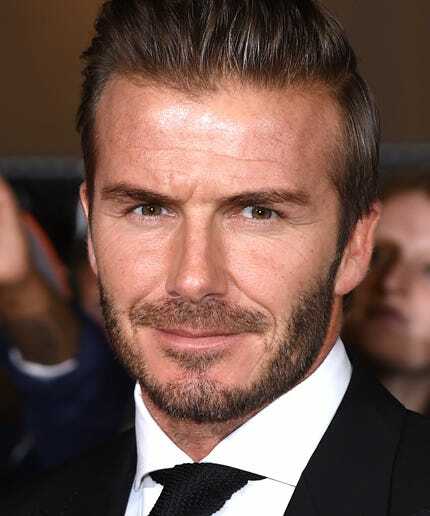 Jimmy Kimmel announced People’s newest sexiest man alive in signature creative fashion as David Beckham supplanted Chris Hemsworth as 2015’s Sexiest Man Alive. Beckham joined the pair via Skype in a denim shirt that I want to run out and buy. Thor is quite an act to follow but somehow we think he’ll manage. This year, Kimmel opted to announce the Sexiest Man via a “yes-and-no” game with the audience. Beckham answered that he was a former athlete, married to a celebrity, has never been in jail, and has “one or two” tattoos. He said he had not been in a boy band or had a song written about him by Taylor Swift. One audience member guessed that it was Nick Carter, which was just bizarre. This is the third straight year Kimmel has announced People’s winner. In 2013, Kimmel held a faux awards ceremony as Adam Levine’s announcement. Last year, it was a game of 20 Questions via Skype. After the announcement, Beckham thanked his parents and his hairdresser. Kimmel couldn’t help but get in one of his signature digs at Matt Damon, but it was all in good fun. We all know People doesn’t always get it right, but we feel that this time they hit it out of the park. Beckham is coming off star turns as a model and designer for H&M and his wife Victoria. He’s fun, he’s flirty, he’s the Sexiest Man Alive.